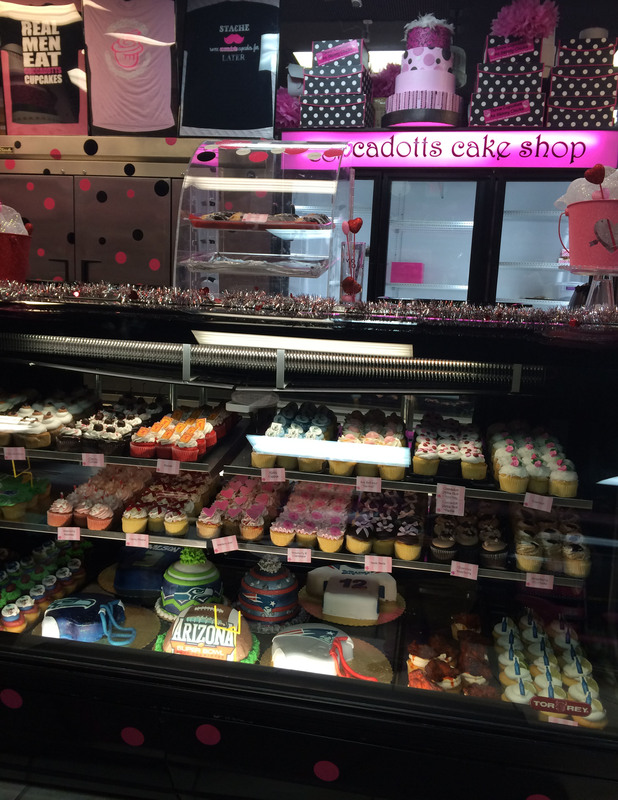 I went to Coccadotts Cake Shop in Myrtle Beach on Thursday night to get a couple specialty cupcakes. It is very nice inside the store. I bet you have never heard of a chicken wing cupcake! Yes, there is an actual cupcake flavor called chicken wing. Around the same time that Jada and I talked about this phenomenon, a couple friends alerted me about this flavor as well. A photo got posted on my Facebook wall. Putting aside my disdain for cupcakes, I knew I had to go try the famous chicken wing cupcake. 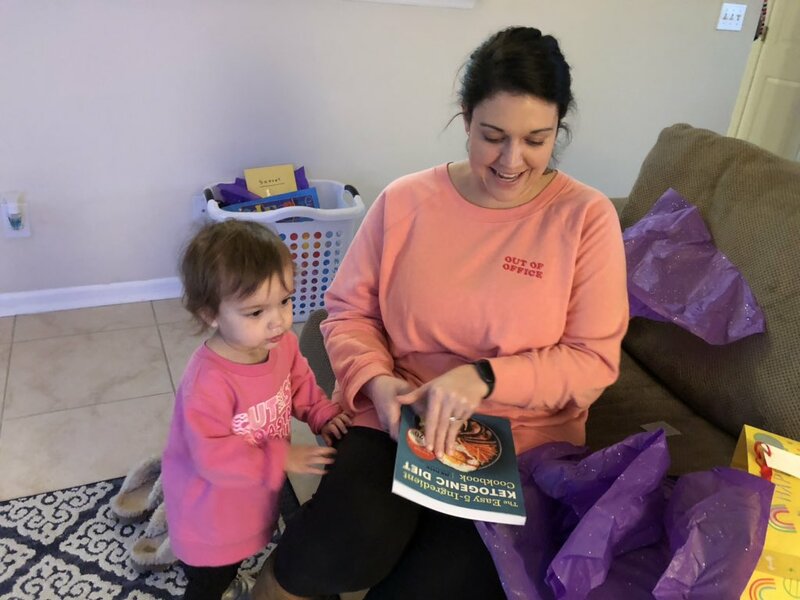 Me with the cupcakes I purchased. The one on the right is the chicken wing selection and the one on the left is the one I am about to explain. 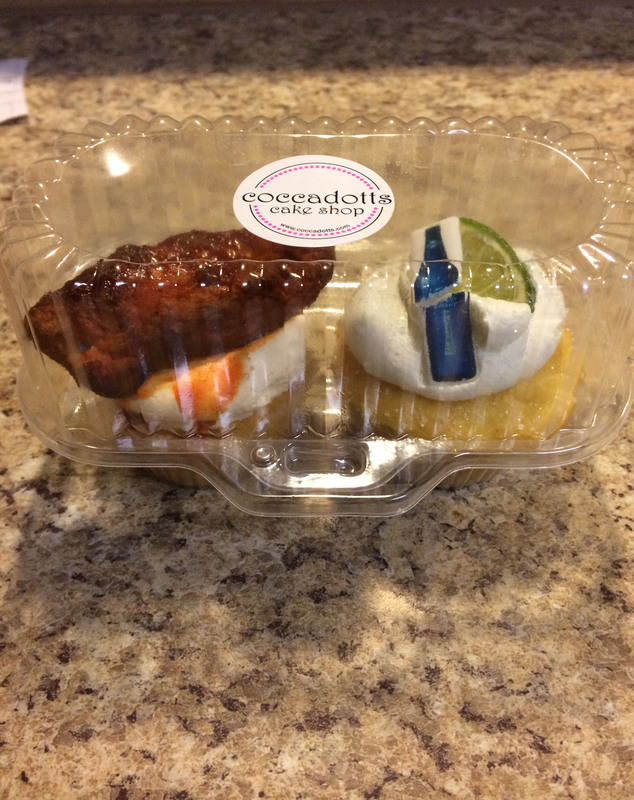 Last night after work I went to Coccadotts to pick up a chicken wing cupcake. Jada had also told me that the shop made a Bud Light cupcake especially during Super Bowl week as well. Say what?! 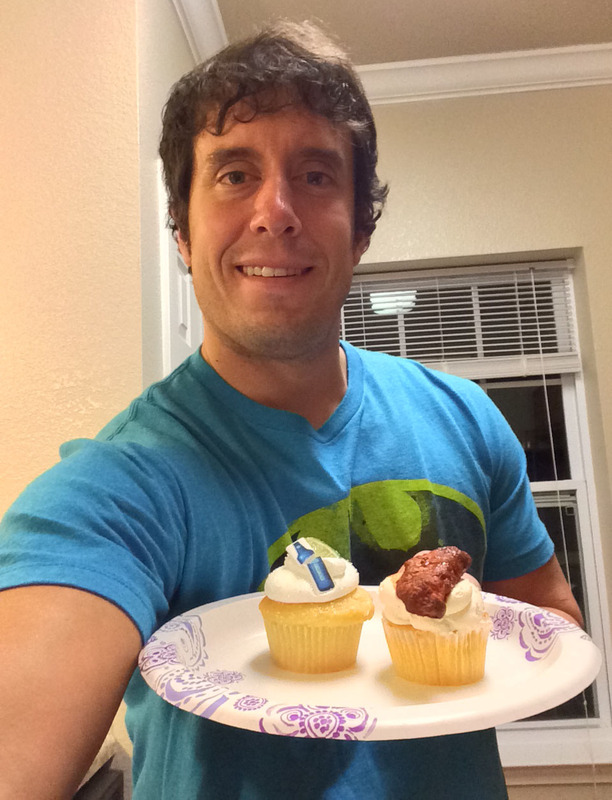 Bud Light cupcakes?! Of course I had to pick one of those up too. I went into the store, which is actually really cool, and purchased the goods and came home. After I let my dinner settle I sat down to sample/eat the cupcakes. 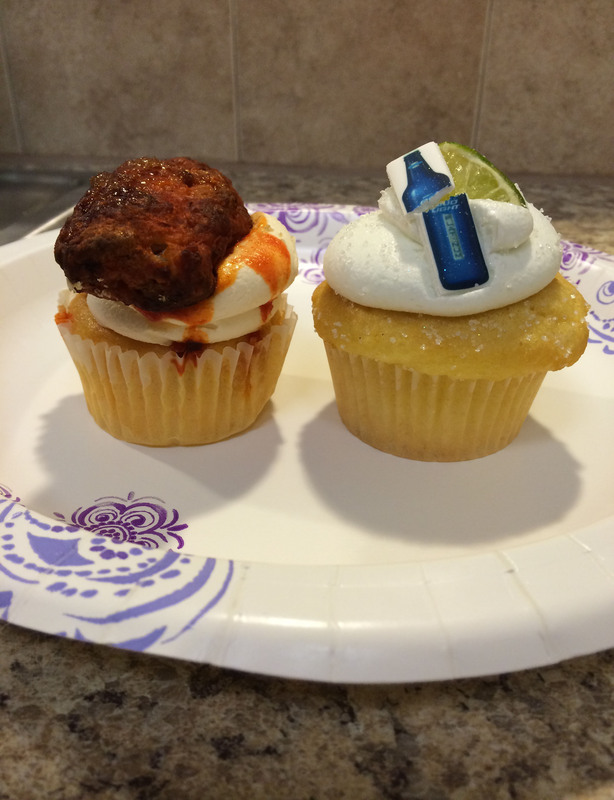 Here is a closer look at the famous Coccadotts cupcakes…chicken wing on the left and Bud Light on the right. 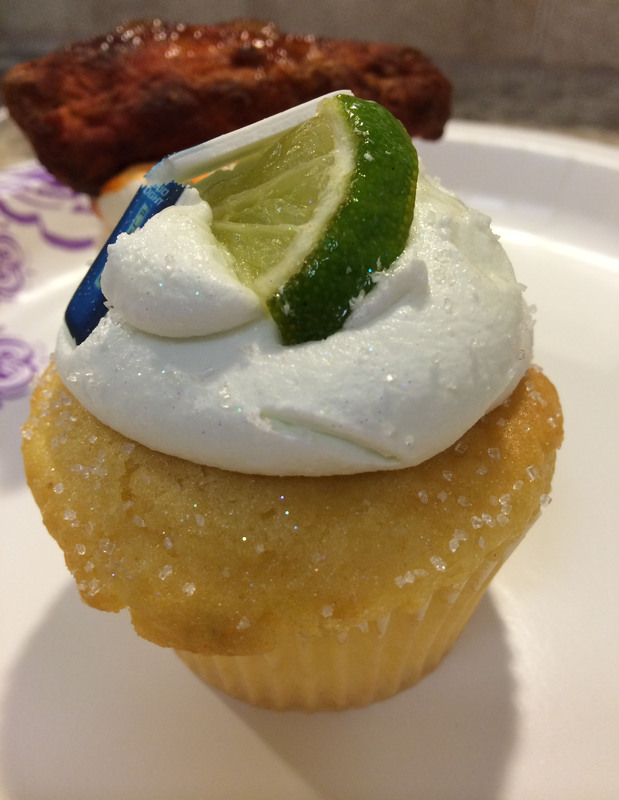 Chicken Wing – This cupcake actually had a big old chicken wing on it. The cake itself looked like cornbread and it was topped with a generous amount of icing, creating a nice bed for the wing to rest on. I admit it, I was a little worried about what it would taste like. I took off the liner and hesitantly took a bite. My taste buds registered spiciness and then sweetness. As I was dealing with the change of flavors I also realized that the cupcake was really cold (I had stored it in my refrigerator). Simultaneously I looked down on the plate at some of the frosting that had fallen…it was a gob of blue cheese. The competing flavors combined with the coldness thrown in with the realization that I was eating a cupcake with blue cheese made me gag just a little bit. I took one more bite to see if my taste buds would mellow out a little and compliment the different flavors. No such luck. The whole thing tasted unnatural. 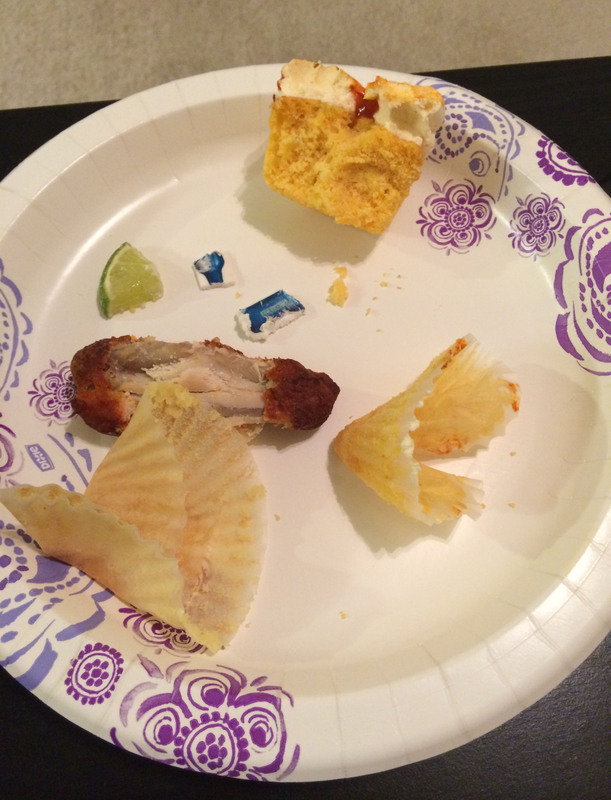 That is the best way I can describe the chicken wing cupcake…unnatural. I stopped eating it and will never try it again. The Coccadotts chicken wing cupcake. In order to get the taste of the chicken wing cupcake out of my mouth I wanted to start on the Bud Light one right away. Despite my sense of urgency I did wait a couple minutes so I could drink some milk and give the bad taste in my mouth a chance to leave on its own. They box your cupcakes up very nicely at Coccadotts. Bud Light – I took the liner off and bit right in. Right when I chomped down I said to myself “Oh my gosh, there it is, it tastes like beer…this is weird.” But then that taste dissipated and a taste that I can only describe as resembling a fruity bathroom cleaner scent became very pronounced. Very confused with this sensation it also soon went away. 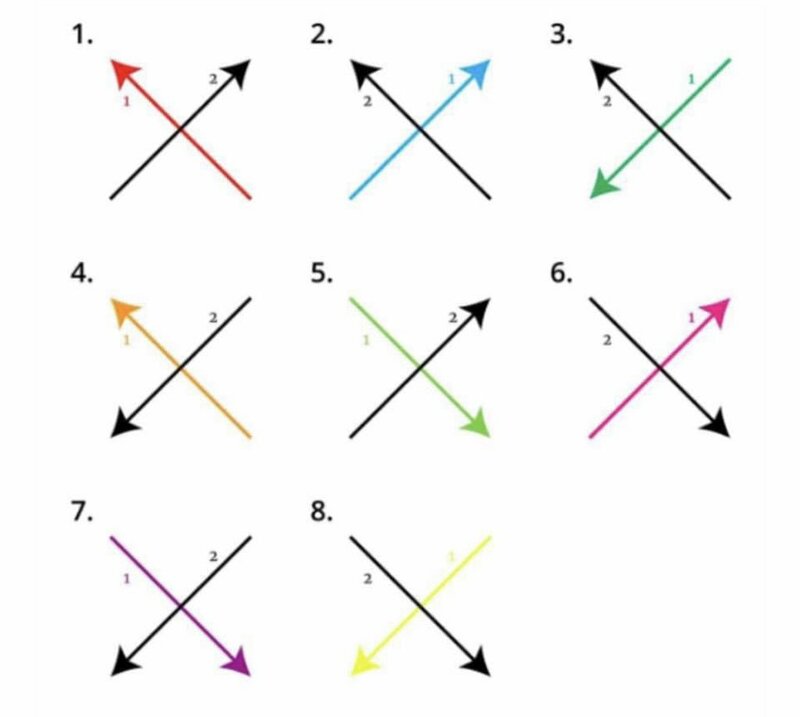 And what was I left with, you ask? The best aftertaste ever! I am not kidding, while my mouth went on a trip with two very bizarre flavors the end result was like a sweet escape and I wanted more. I took another bite and this time there was no Bud Light taste, it was just the fruity bathroom cleaner flavor. But by that second bite it had already grown on me and I liked it. Adding to it all, the cupcake itself was just so fresh and just so different from the previous one that I found it very enjoyable. The beer taste never returned and the fruity bathroom cleaner flavor changed to more of just a fruity flavor (I imagine the fruity flavor was lime considering an actual one was on top of the cupcake). I ate the whole thing and was very satisfied. 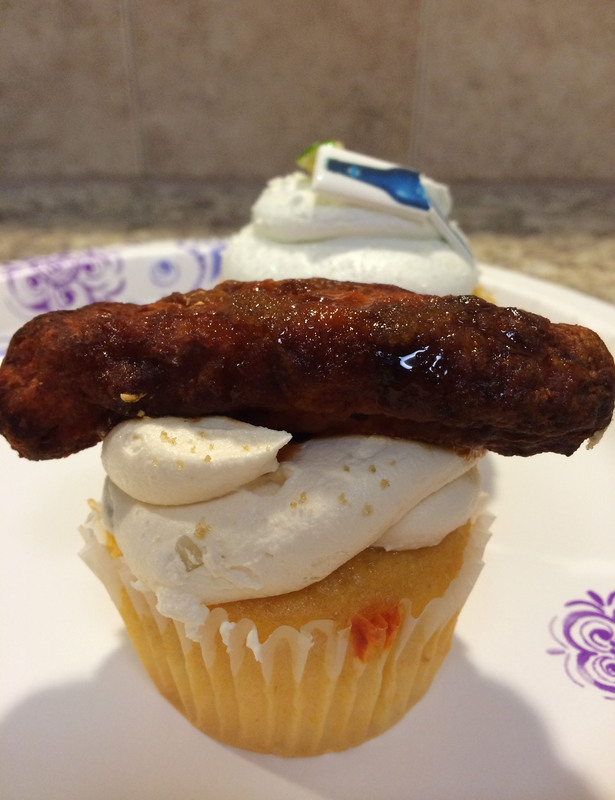 The Coccadotts Bud Light cupcake. 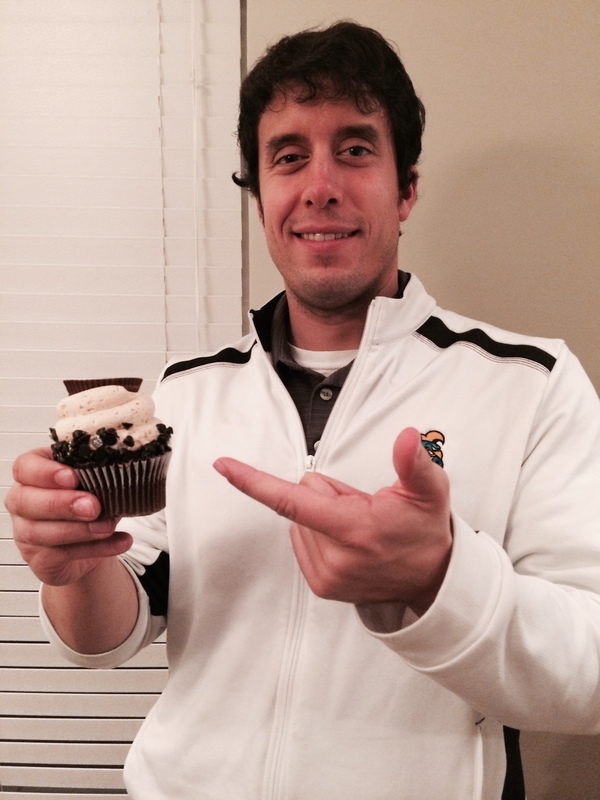 While I will never touch another chicken wing cupcake I would scarf down another Bud Light cupcake if forced to. 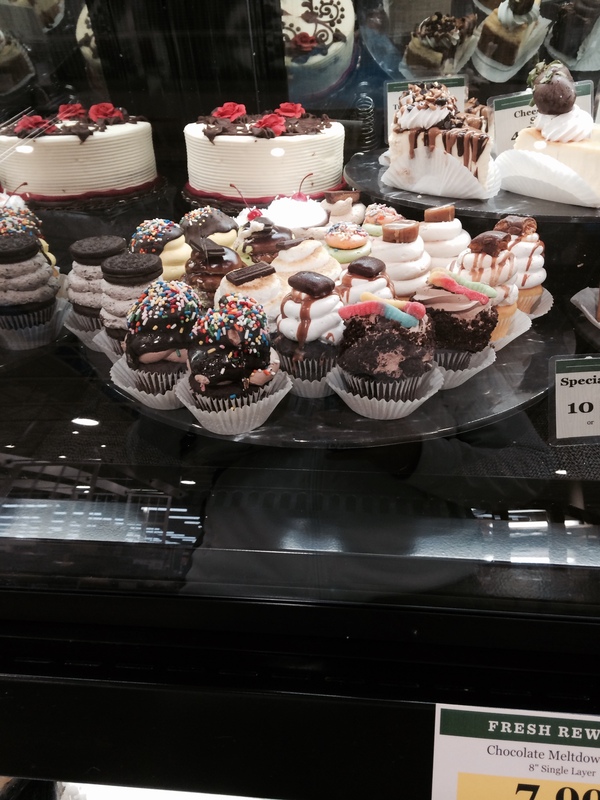 But I much rather choose one of the many delicious sounding/looking cupcakes that Coccadotts offers instead. You know what I mean, a flavor that actually sounds like it would be good on a cupcake. I went to the Coccadotts Facebook page where there was talk about the chicken wing cupcake. It is in fact a cornbread base with blue cheese icing. I didn’t see any information on the Bud Light cupcake so I don’t know if there is actual beer in it or if the fruity flavor was lime like I suspected. I will have to ask Jada. I think the next crazy Coccadotts cupcake flavor should be macaroni and cheese! The base could be cheesecake, the frosting could be a parmesan cheese icing, and it could be topped with actual mac and cheese. Sounds like I got a hit on my hands. Sometimes I am even too weird for myself. Don’t Blink.